The Regulated Qualifications Framework (RQF) sets the levels against which general and vocational qualifications* can be recognised in England, as well as vocational qualifications in Northern Ireland. The RQF replaced the Qualification and Credit Framework (QCF) in October 2015. Find out more about the change. The RQF is designed to be a simple tool for understanding and comparing qualifications in terms of size and level of demand. 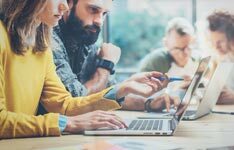 It gives learners and employers alike a consistent framework in which to compare qualifications, and to understand what an individual knows and can do. The RQF is governed by Ofqual (Office of Qualifications and Examinations Regulation), which regulates all qualifications, examinations and assessments in England, alongside vocational qualifications in both England and Northern Ireland. Qualifications are accredited differently in Wales and Scotland. 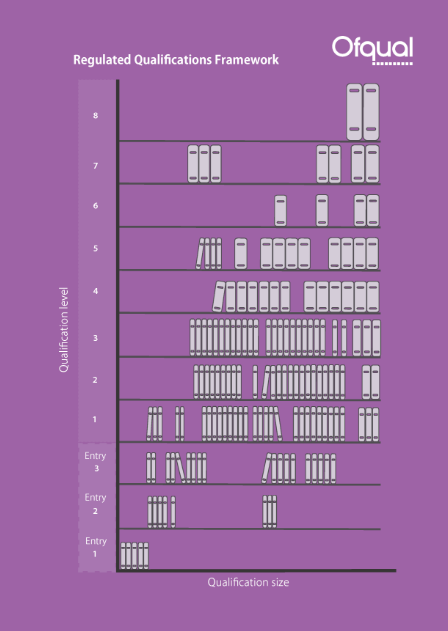 The framework helps to compare the size and level of qualifications, like books in a bookcase. Image copyright: Ofqual. Contains public sector information licensed under the Open Government Licence v3.0. The number of hours of Guided Learning (time spent being taught). An estimate of the number of hours a typical learner will spend on unsupervised study, preparation or assessment throughout the qualification. It’s important to remember that some people study faster or slower than others, so the TQT is just a guide. Every qualification is assigned a level, ranging from Level 1 to Level 8 (plus Entry Level 1-3). This indicates how advanced the qualification is, regardless of the size. The higher the level number, the higher the level of demand required to complete the course. Each level has qualification descriptors for both general and vocational qualifications. These outline the knowledge and skills associated with the typical holder of a qualification at that level. The RQF does not set qualification design rules, such as required units or credits, although these can be used. It is up to awarding organisations to develop qualifications that meet specific labour market needs; validated and supported directly by employers. All qualifications regulated by Ofqual are required to meet General Conditions of Recognition to ensure they are valid and fit for purpose. Employers and training providers use specific Apprenticeship Frameworks to make sure that all apprenticeship programmes comply with guidance outlined by each of the four UK nations. Apprenticeships have equivalent educational levels, so they can map to the RQF. As part of an apprenticeship reform to give employers more control in designing apprenticeships, Apprenticeship Standards will replace all frameworks in England by 2020. 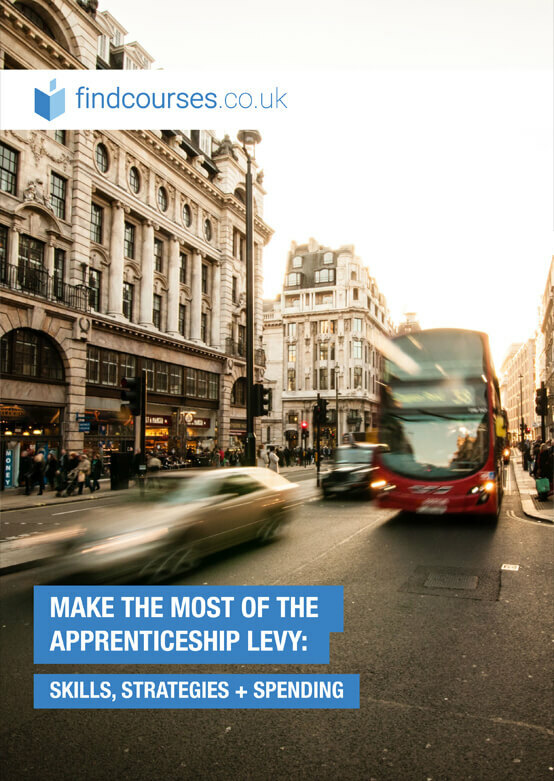 Stay up to date with apprenticeship changes at gov.uk.